The message to people who want to get rid of all their desert mistletoe is “no mistletoe, no butterfly” and that would be a shame. 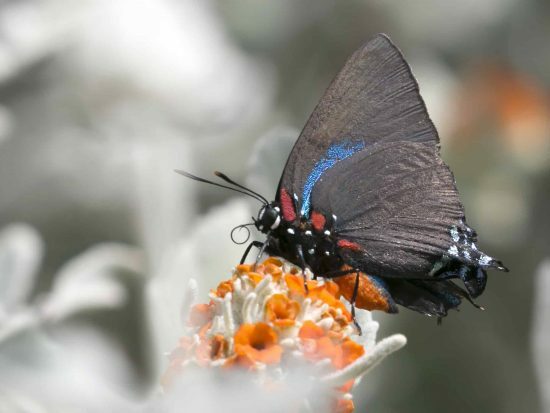 This beautiful large hairstreak may be seen flying in our area between March and October, but mainly in the spring and fall. It is a Neotropical species and typically ranges from Guatemala North to the Southern U.S. The females are slightly larger than the males. 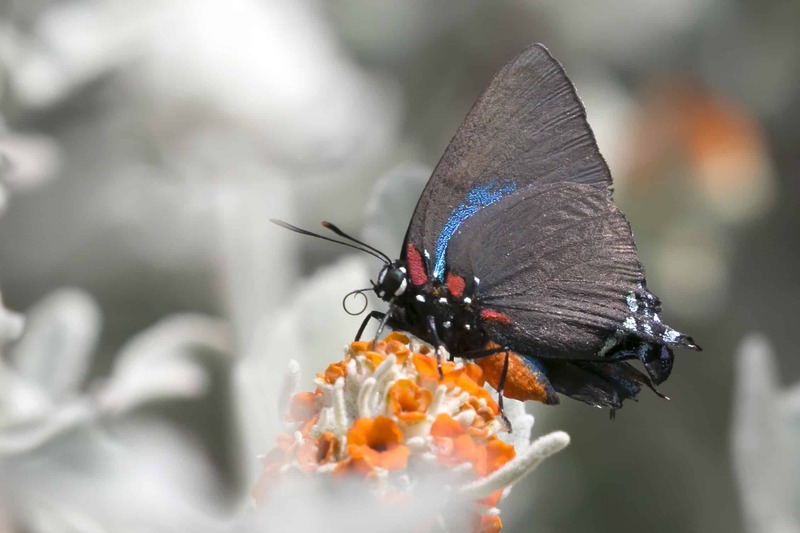 When the males fly, the brilliant iridescent blue of the top surface of the wings may be seen. The blue is less vivid on the female. The bright orange abdomen is striking. They perch with the wings closed (see figures). The bright green larva feeds on mistletoes growing on oak, ash, cottonwood, juniper, mesquite etc. The message to people who want to get rid of all their desert mistletoe is “no mistletoe, no butterfly” and that would be a shame. When the larva is full grown it moves down near the bottom of the tree and pupates in a crevice or under the bark. The pupa may be parasitized by parasitoid wasp or tachinid fly larvae. These will destroy the butterfly. 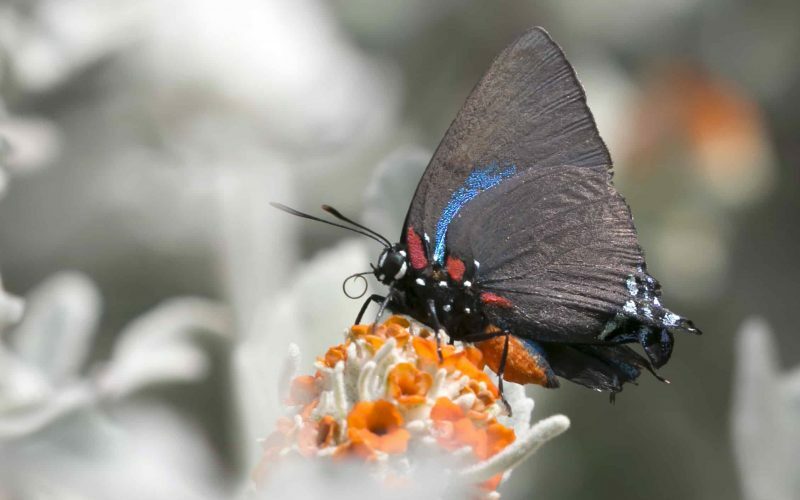 In my yard these butterflies feed on nectar from the flowers on a Wooly Butterfly Bush and Milkweed, but will visit many other garden flowers. They also seem to like the flowers on Desert Broom. The males will sit on trees on hilltops waiting for females.